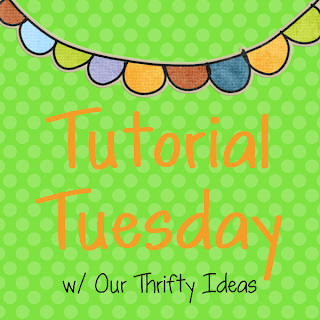 Welcome Welcome to the first Tutorial Tuesday on Our Thrifty Ideas. I’m so excited for this new feature each week!! I seriously already have so many projects in mind to use as our feature tutorial. Link up as many posts as you’d like, but please make sure they are a tutorial. 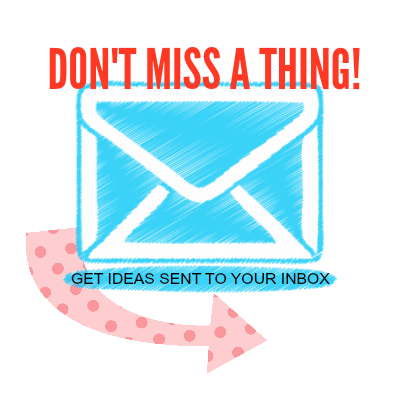 Visit other’s that are linked up. I know we all like to get comments, so leave some love when you visit. 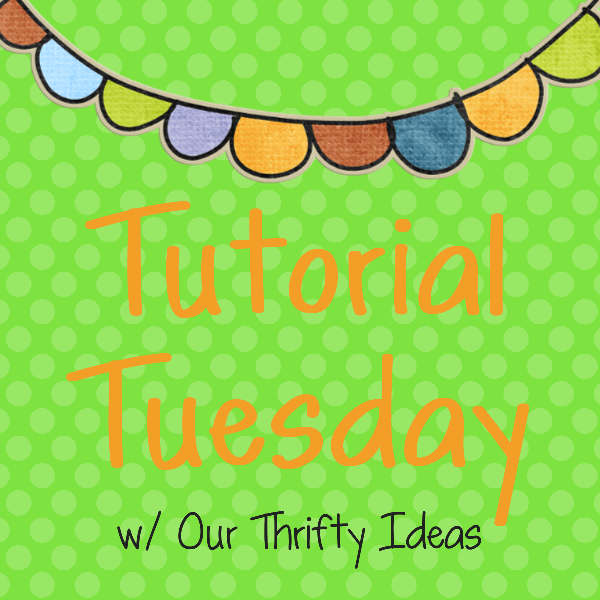 I will feature one, or a few, of my favorite linked up tutorials next week! This week I decided to do an easy tutorial. Reason- I got an ingrown fingernail and to tell you the truth, typing hurts so bad %!:#~*&!. Cook the Rotini Pasta according to the package. 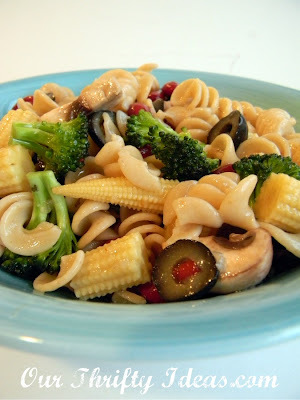 Slice your olives, mushrooms, and baby corn to bite size. Drain and wash your kidney beans and cut up your broccoli. Throw all of them together in a bowl and toss with Italian Dressing. Refrigerate until chilled. Oh, did I mention it was EASY?! That’s it. I’ve grown up on this salad, and of course have always added/taken away different ingredients. This is my current favorite combination. But you could totally make it your own or just make it with the yummy veggies you have on hand. 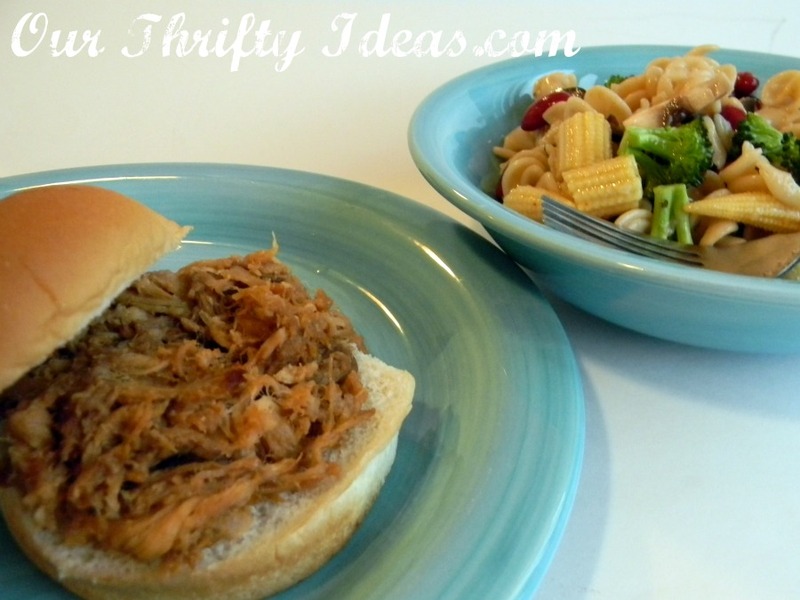 The other night we had them with Pulled Pork Sandwiches (recipe coming soon) and it was a great combo. I’ll try to enter your tutorial. That is a lot of stuff to do…lol. Great idea for a link party. I saw your comment at how to nest for less and thought I would link up my vintage inspired bottle aprons for great hostess gifts. Good luck with the party! I am totally going to do this next week I already have what i am going to do in mind. YUM, that salad will be great for summer bbq’s! thx for sharing! !